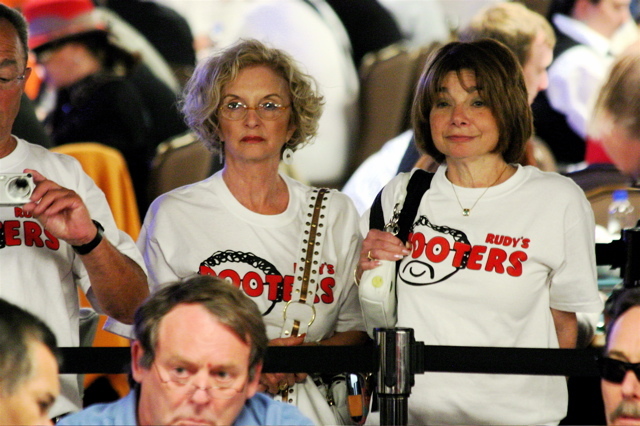 The 2008 WSOP Seniors tournament had a record field today of 2,218, paying out $368,759 for first place. Best comment we heard by some old geezer right before the cards flew: "Anyone wanna make a live longer bet?" The field contained lots of people who for whatever reason we didn’t realize were even old enough to compete in this event, like Men "The Master" Nguyen, Johnny Chan (who is doing absolutely nothing funny in this photo), and the insufferably annoying Humberto Brenes. 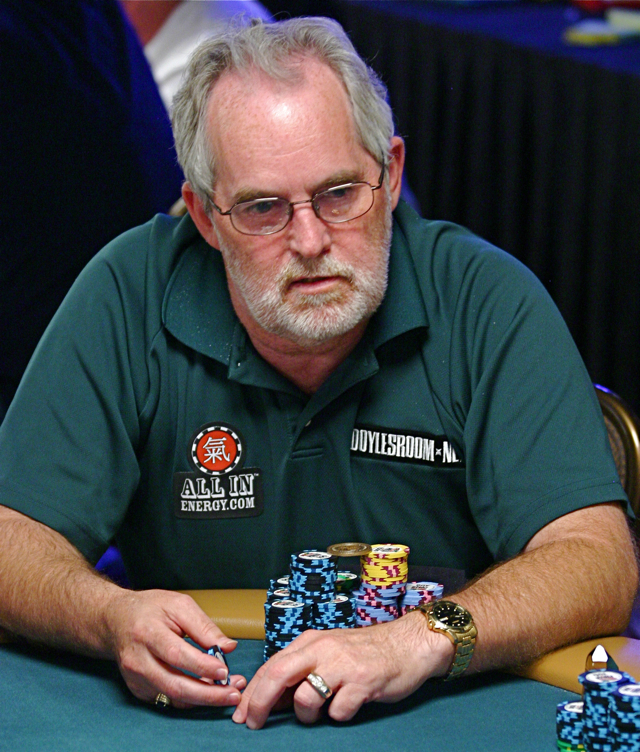 Currently, Captain Tom Franklin is just POB‘ing the competition, big stacked at 73,000, or approximately the number of days he’s been alive. 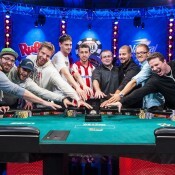 In related creepy old man news, David Sklansky final tabled Event #40 (chip counts here). We’re debating whether or not to keep updating this one, especially with the surprising lack of GILF railbirds, so get your chip counts here. 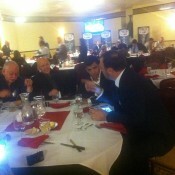 A photo example of the Senior Event railbird action today after the jump . 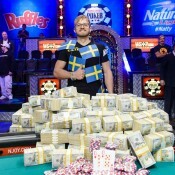 . .
Wow – sounds like a crazy time at the 2008 WSOP Seniors tournament, paying out $368,759 for first place! walla! Thanks for keeping us uptodate! i’m disturbed by the fact that you use the term GILF and i don’t even pause for a second to consider what it might mean – i know instantly. oy vey.